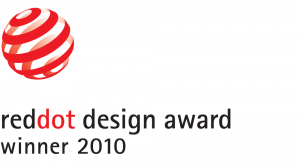 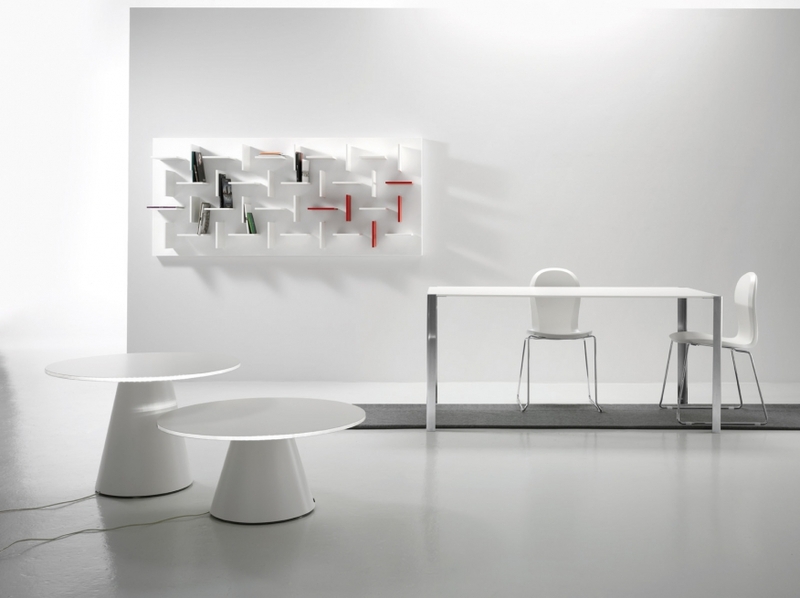 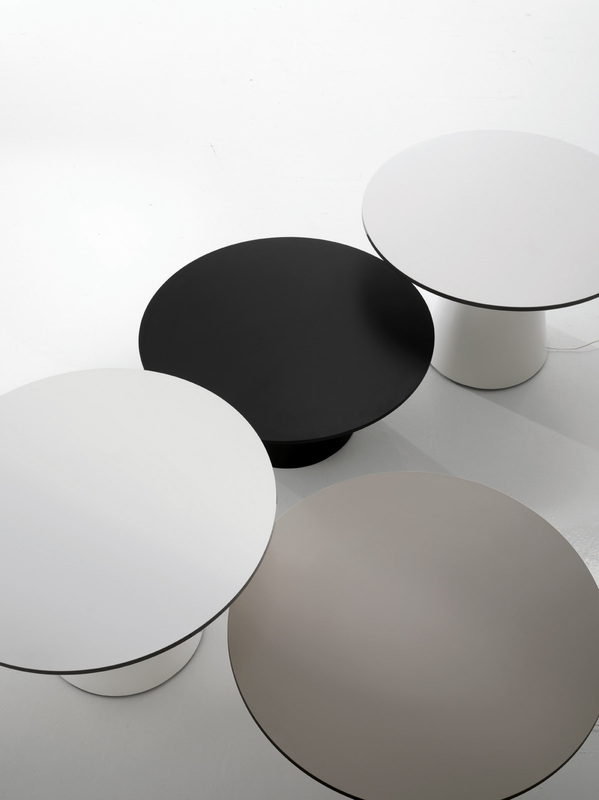 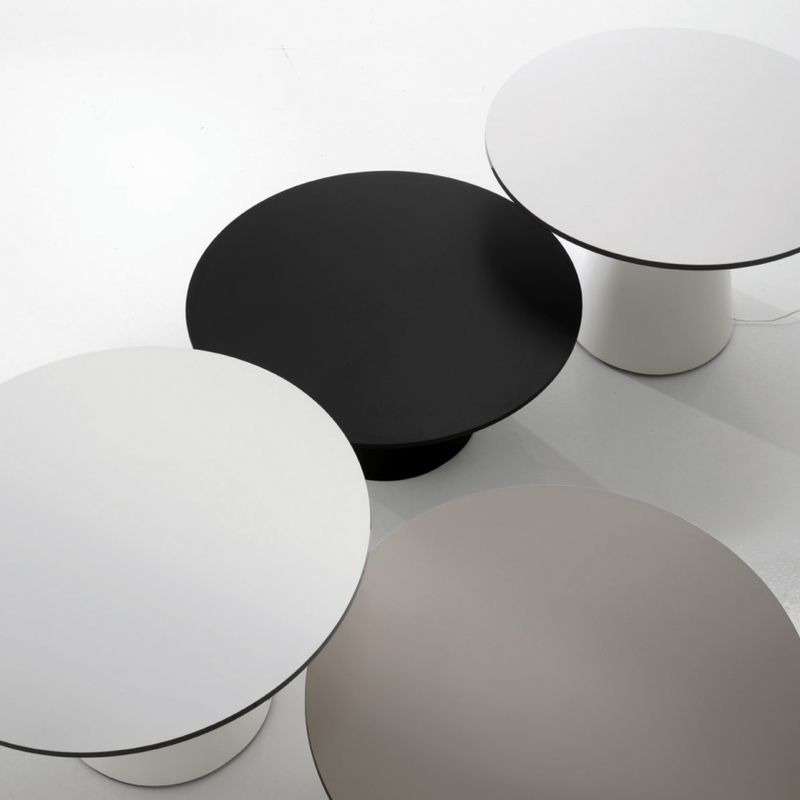 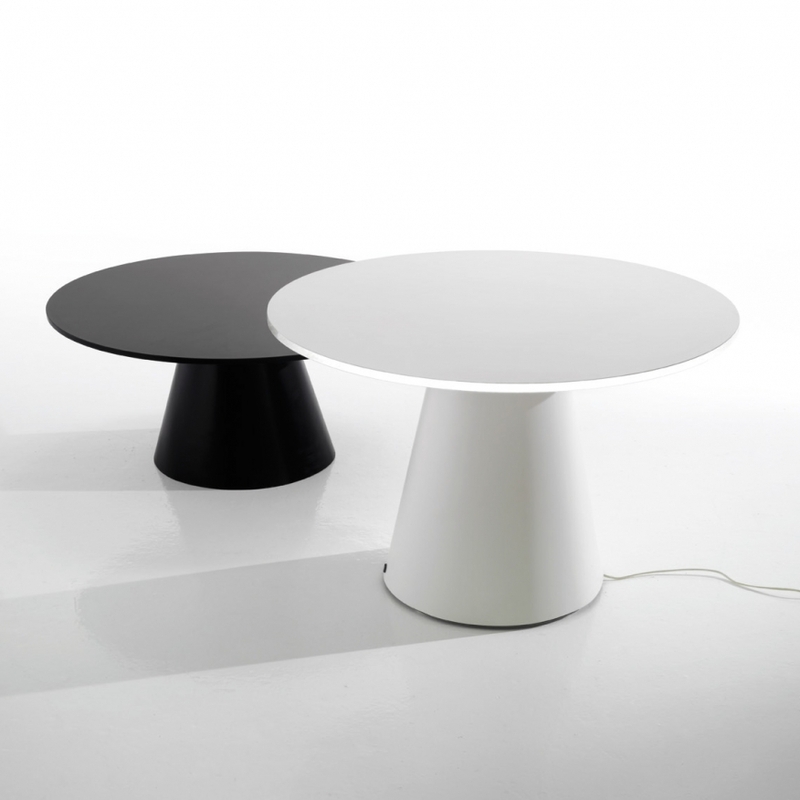 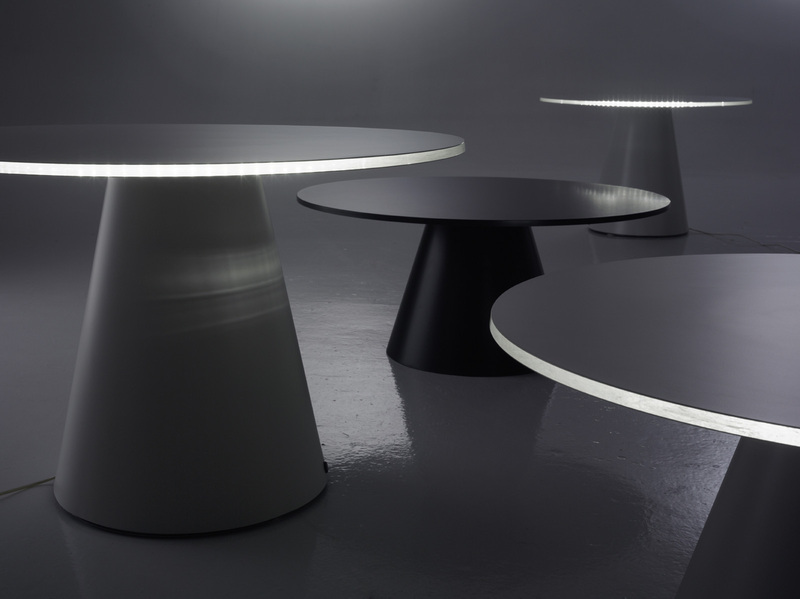 A set of coffee tables, which differ in height from 35 to 50 cm, available with or without LED. 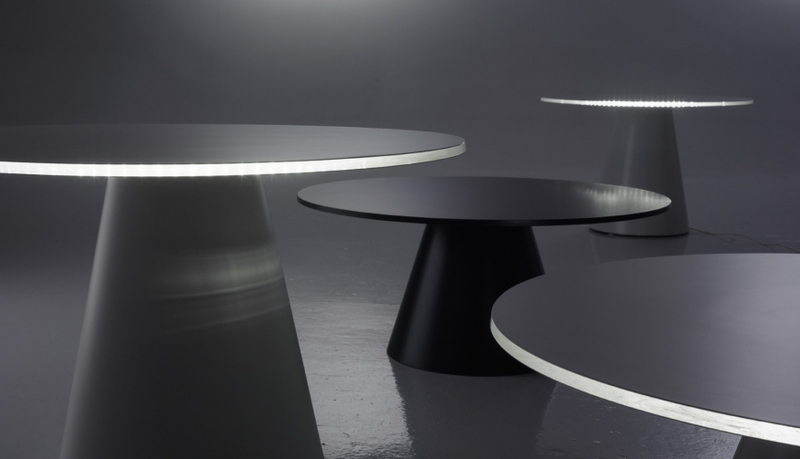 White, gray or black methacrylate top for the LED version; white, gray or black laminated wood top for the version without LED. 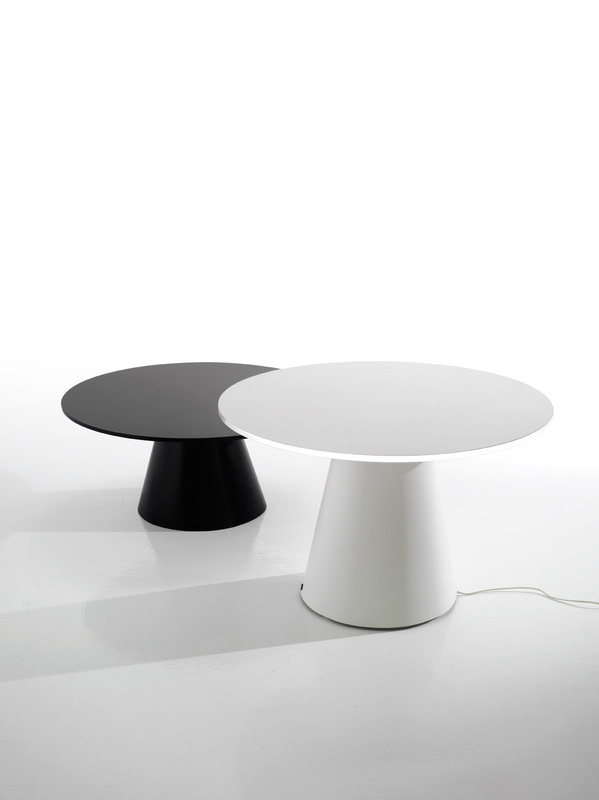 Base painted in white or black.